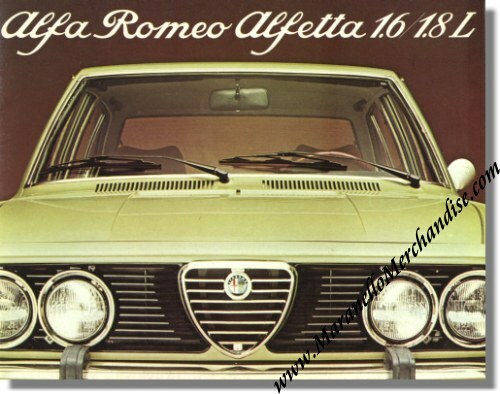 1977 Alfa Romeo Alfetta brochure. Vintage January 1977 sales brochure for the Alfetta 1.6 / 1.8 L.
This is a sales brochure that measures some 10.7 x 8.5 inches (or 28 x 22 cm) and folds open to some 22 x 8.5 inches. Print reference: 711 G 475 R, printed by Ripalta, Milano, Italy. Excellent condition for its age. We offer you FREE shipping to ANY destination in the world on this item. Conditions apply. Read more about our shipping options HERE.